Huge wait times for high demand silver products such as Silver Eagles, Maples and Philharmonics, investors switched over to buying Gold Eagles. As wait times for certain silver bullion products reach upwards of 2 months, investors are now switching over to buying gold. How much gold? Heck of a lot more when look at the figures. While Gold Eagle sales started to surged in June (76,000 oz), due to the possible Greek Exit of the European Union, they peaked in July at 170,000 oz and then declined to 101,500 oz in August. 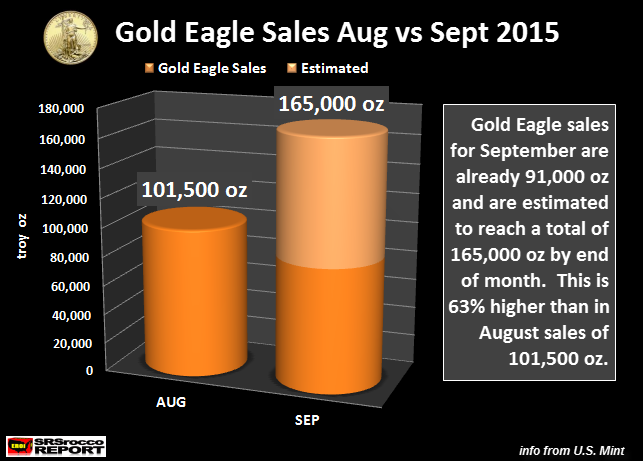 In the beginning of September, it looked as if Gold Eagle Sales were going to be lower than August. 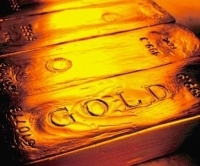 However, with the huge wait times for high demand silver products such as Silver Eagles, Maples and Philharmonics, investors switched over to buying Gold Eagles. According to the most recent update, the U.S. Mint sold 91,000 oz worth of Gold Eagles in the first half (Sept 16th) of the month. Thus, half month Gold Eagle sales in September are already 90% of total sales for August. I estimate that total Gold Eagle sales will reach 165,000 oz in September. While its true that Gold Eagle sales were higher in July at 170,000 oz, this was due more to investors fear of financial contagion stemming turmoil out of Europe. 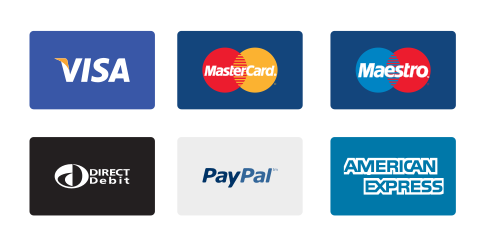 The current increased trend of Gold Eagle buying is due to investors switching over as many silver bullion products are unavailable… unless individuals want to wait 6-8 weeks. I spoke to several large precious metal online dealers and they told me that in June and July and part of August, more investors were buying silver than gold. However this has changed recently, where some dealers are seeing days where 2/3 or more sales revenue are coming from gold. 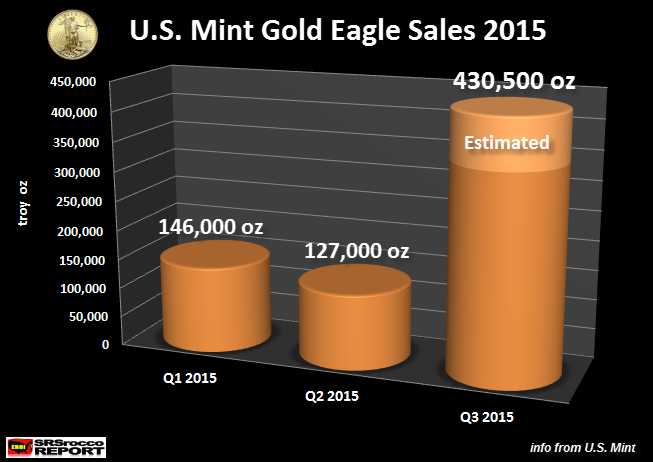 Gold Eagle sales just for Q3 2015 (430,500 oz) are 82% of full year sales in 2014 (524,500 oz). That’s a big jump. I would imagine sales may continue to be elevated if we experience increased volatility in the broader stock markets due to the Fed Rate Hike decision.